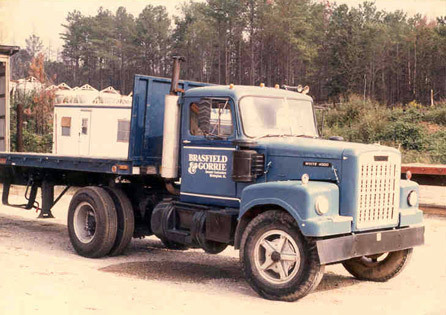 B&G Equipment and Supply, originally the equipment operations function of Brasfield & Gorrie, officially opened for business in 1997. BGES now offers of a world class team with an extensive fleet mix accessible in locations across the Southeast – Atlanta, Birmingham, Huntsville, Montgomery, Nashville, and Orlando. With a fleet consisting of a wide range of equipment capabilities (earthmoving, aerial, compaction, marine, general construction tools, and cranes), BGES provides customers with a competitive advantage to overcome industry challenges through superior safety practices, extensive product knowledge, and environmentally-responsible equipment options. BGES offers top of the line equipment from you the brands you know and trust – Komatsu, Caterpillar, John Deere, JCB, JLG, Bobcat, Genie, Skyjack, and other leading brands of equipment and tools. You can rely on our reputation for providing reliable on-site service and delivering quality construction equipment when you need it. Consistent with its parent company, Brasfield & Gorrie, B&G Equipment and Supply owes its success to its people. The company founders established a reputation for unwavering quality and integrity, and those values remain the bedrock of our business philosophy today. Because safety is our top priority, it is also our top corporate value. We strive to be the safest rental equipment company in every market we serve, and we are committed to ensuring the safety of our employees, clients, and associates. Our “THINK Zero!” safety initiative reflects our goal of zero incidents on all our projects. As part of our commitment to sustainable business practices, B&G Equipment and Supply/Brasfield & Gorrie attained the Platinum Green Fleet Certification according to the Association of Equipment Management Professionals (AEMP) in June of 2016. The AEMP Green Fleet Platinum Certification recognizes the company for meeting rigorous and exacting sustainability criteria. The certification is just one way AEMP supports mixed fleet managers across the nation, and enables them to demonstrate their commitment to environmental excellence in construction. B&G Equipment and Supply has more than 600 assets. The fleet is in full compliance with all governmental requirements for emissions. AEMP’s Green Fleet Certification helps tell the Brasfield & Gorrie story; certification enhances BGES’s regional reputation, brand recognition and standing as a leader within the local community; it provides an effective means to influence other contractors to elevate environmental responsibility as a priority, and helps reduce the company’s carbon footprint. Read more on AEMP’s Green Fleet Certification initiative. B&G Equipment and Supply follows the lead of parent company, Brasfield & Gorrie, by placing a high priority on giving back to the communities that support our business and foster our families. Employees are encouraged by example to serve their communities, and it is rare to find a local organization or event that has not benefited from Brasfield & Gorrie’s or B&G Equipment and Supply’s participation. Our corporate officers are acknowledged community leaders who actively participate in or lead a variety of business, civic, charitable, and social organizations. For any questions regarding community involvement or charitable donations, please contact Abby Wright at moc.e1556128506irrog1556128506dleif1556128506sarb@1556128506thgir1556128506wba1556128506.